Prince William is the eldest son of Prince Charles and Diana Spencer. He was born on 21 June 1982. Kensington Palace annnounces Kate Middleton is having a third child. As with her previous two pregnancies, the duchess is suffering from hyperemesis gravidarum, or severe morning sickness. The Queen and both families are said to be “delighted with the news”. Kensington Palace announces the baby’s name: Charlotte Elizabeth Diana, and her official title as Princess Charlotte of Cambridge. The Duchess of Cambridge gives birth to a girl weighing 8lbs 3oz (3.7kg) at 08:34 BST. The Duke of Cambridge is present for the birth. The princess is fourth in line to the throne. Middleton is admitted to the private Lindo Wing of St. Mary’s hospital in London, and is in labor with her and Prince William’s second child. Their Royal Highnesses The Duke and Duchess of Cambridge are delighted to confirm they are expecting a baby in April 2015. The Duchess of Cambridge continues to be affected by hyperemesis gravidarum, but her condition is steadily improving. There is reason to suspect that the individual may have been placing Prince George under surveillance and monitoring his daily routines for a period of time. No parent would tolerate the suspicion of someone pursuing and harassing their child and carer whilst their child is playing in a public park or going about their daily activities. Diana’s iconic wedding dress is willed to Prince William and Prince Harry. The dress is to be given to William and Harry upon Harry’s 30th birthday, which is September 15. Designed by Elizabeth Emanuel, the dress features a 25 foot train, layers of silk and pearls. The dress, under the care of Diana’s brother Earl Spencer, is displayed twice a year at Althorp, the Spencer’s estate, for the Diana: A Celebration exhibit. It’s very emotional. It’s such a special time. I think any parent will know what this feeling feels like. William and Middleton get married in Westminster Abbey in front of 1900 guest including Elton John and Victoria Beckham. William wears the scarlet uniform of the Colonel of the Irish Guards. Middleton arrives in a burgundy-and-black-colored Rolls-Royce, not a carriage, opting for a lower-key arrival. Her white dress is by Sarah Burton for Alexander McQueen. William’s brother and best man Prince Harry wears the uniform of Captain of the Household Cavalry. Their music is performed by the London Chamber Orchestra. The couple write their own prayer. God our Father, we thank you for our families; for the love that we share and for the joy of our marriage. In the busyness of each day keep our eyes fixed on what is real and important in life and help us to be generous with our time and love and energy. Strengthened by our union help us to serve and comfort those who suffer. I, William Arthur Philip Louis, take thee, Catherine Elizabeth, to my wedded wife, to have and to hold from this day forward, for better, for worse. For richer, for poorer. In sickness and in health. To love and to cherish, till death us do part. Scotland Yard estimates one million people line the wedding route. Everyone is absolutely delighted. He has never had eyes for any other woman since Kate came on the scene. She is going to make a wonderful wife. There are no people advising her or preparing her for anything. She is going about her private life as a private individual. Will, known for his stubborn streak, won’t let anyone dictate a time frame-but also acknowledge an engagement is no longer a matter of if but rather when. This is certainly not something they are going to rush into. But their relationship is very strong. 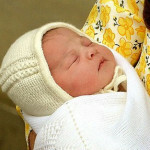 Prince William Arthur Philip Louis Windsor is born weighing 7lb 1½oz. The Prince is the first child of Prince Charles and Princess Diana and his official title is “Prince William, Duke of Cambridge”. His paternal grandparents are Queen Elizabeth II and Prince Philip, Duke of Edinburgh. He is second in line to succeed his grandmother, after his father. Prince Charles is present at the birth and calls the Palace from St Mary’s Hospital Paddington, to tell his mother, who was said to be “absolutely delighted.” The Queen Mother, driving back to her home at Clarence House was “overjoyed.” The news was also flashed to Prince Andrew in the South Atlantic task force and to the rest of the Royal Family. Bloody hell, give us a chance.